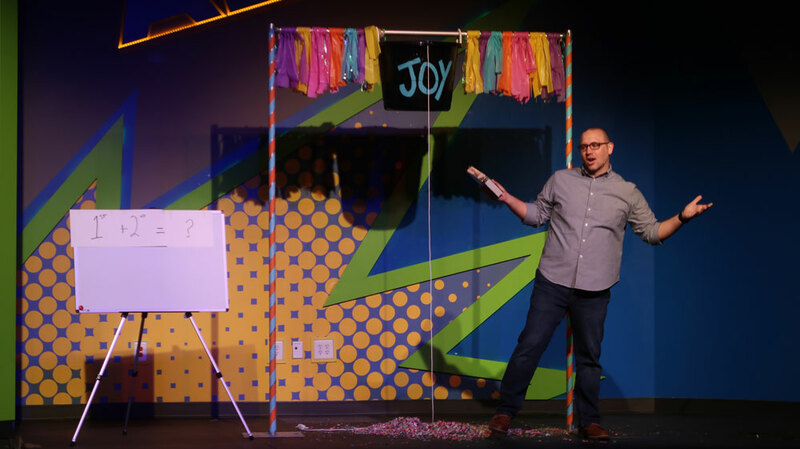 I was the kids pastor at Calvary Assembly in Cambridge, Ontario, Canada for almost 12 years before I moved to my current position at Creekside Church in Waterloo, Ontario. 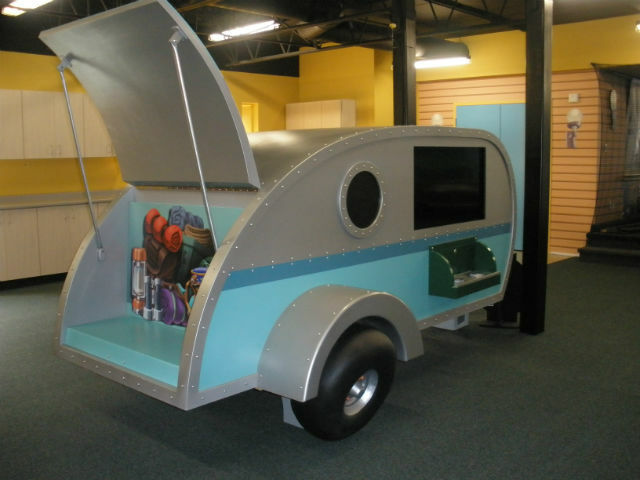 I researched & visited Kids Spaces across Canada and the US for several years before building this Kids Ministry Space. 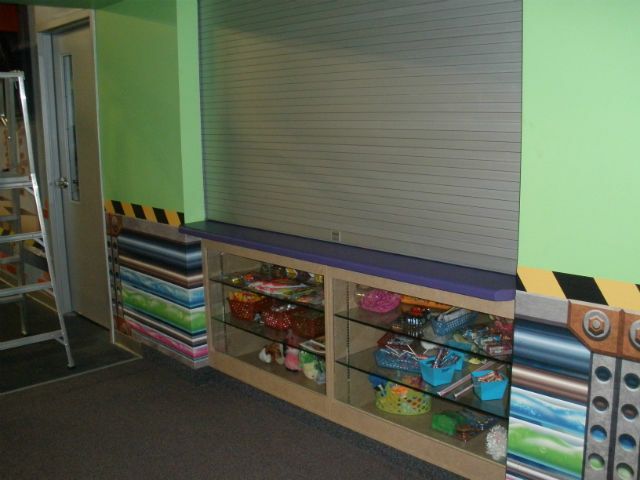 It was the first church in Canada to have 3 levels of Themed Environment Space. 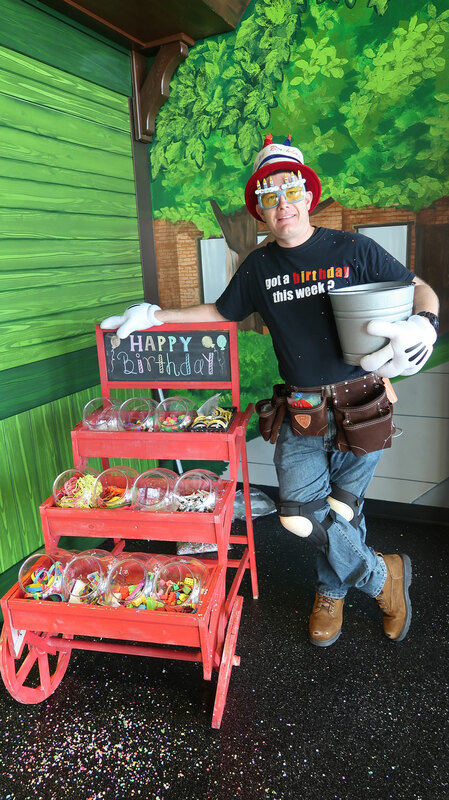 Bruce Barry from Wacky World Studios designed and installed the kids area. I met him at a Conference in Chicago, and several weeks later Bruce came to visit us in Canada. 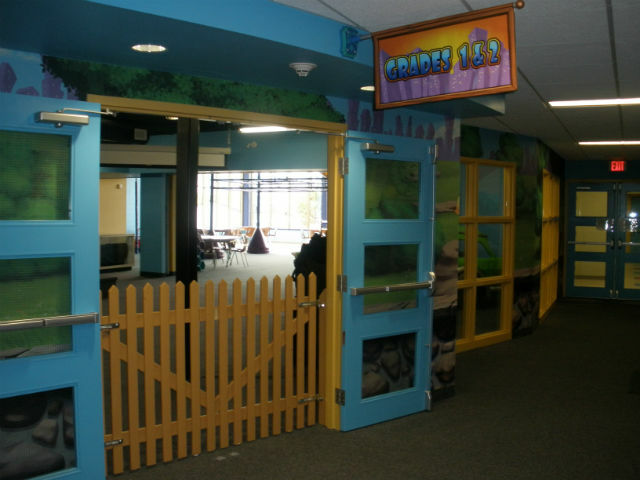 A year later, our space was completed and transformed into an amazing space for kids! I thought I would share with you some pics from the church tour in Cambridge. Because each level was separate, and you could not view one space while in another, the themes could be 3 different themes. Under the sea was for the baby/preschool level, Toon Town was for the early elementary level, and Slime factory was for the upper elementary level. 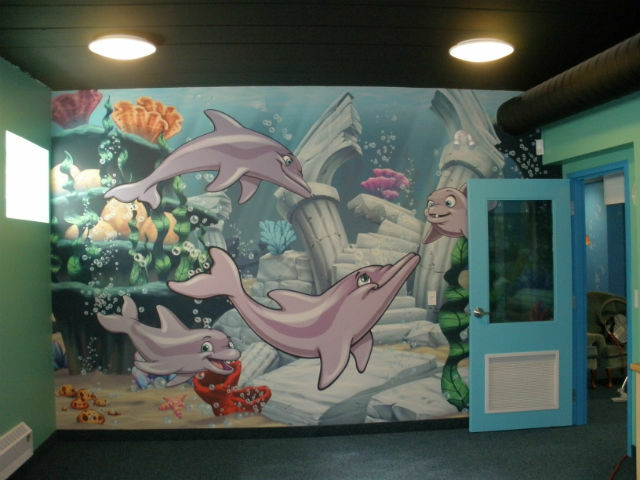 The undersea theme allows babies and preschoolers to see many different sea animals in the murals on the walls. They are bright and cheerful. 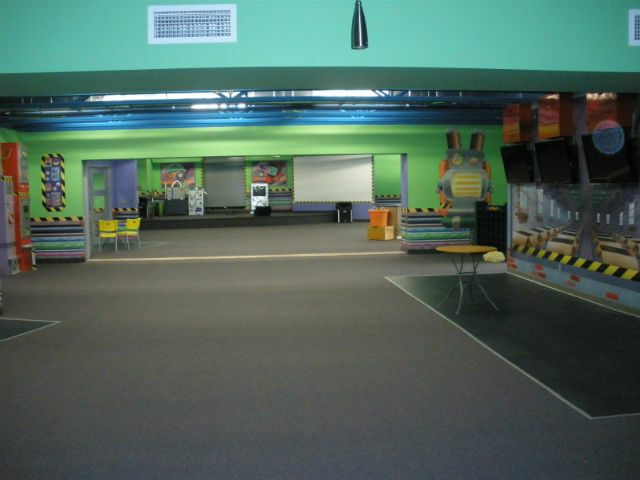 A slide was built into the floor of the preschool room where a height transition was. 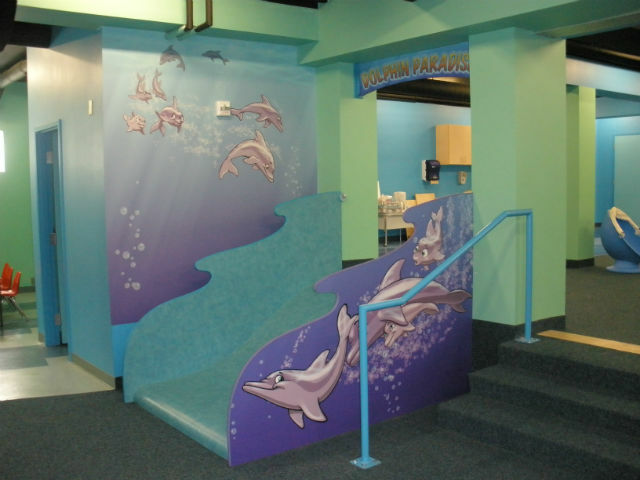 The preschoolers love sliding down this wide but shallow dolphin slide. 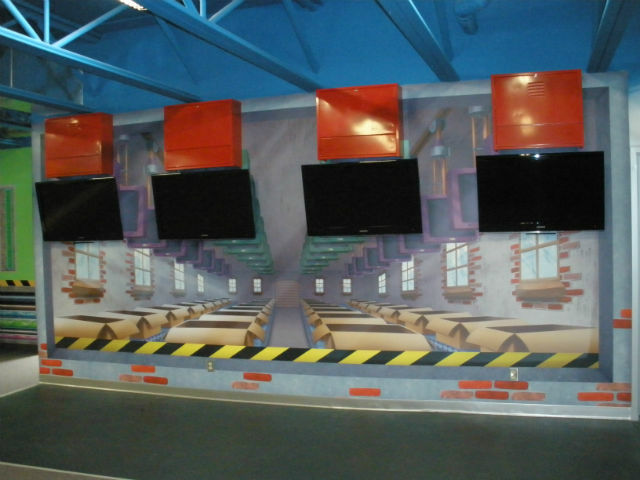 Most of the rooms had solid colour walls with paint colours to match the tones in the murals. Some rooms had one wall with a mural on it. 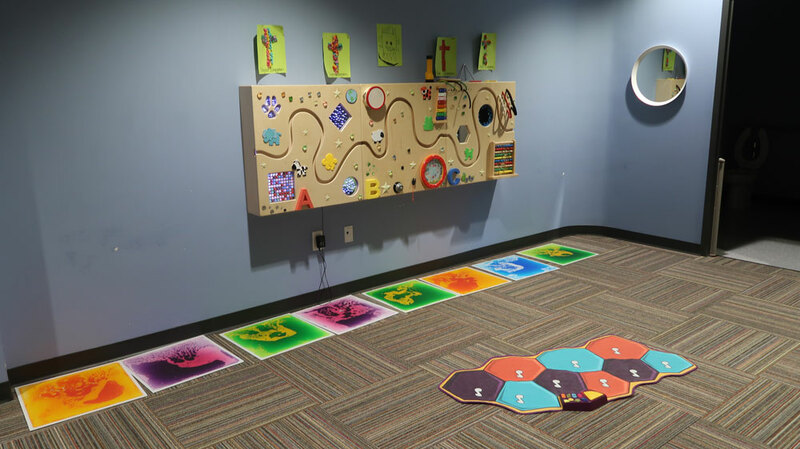 We tried to keep most of the mural work in the hallways where kids and families would have their first impression of the kids space. 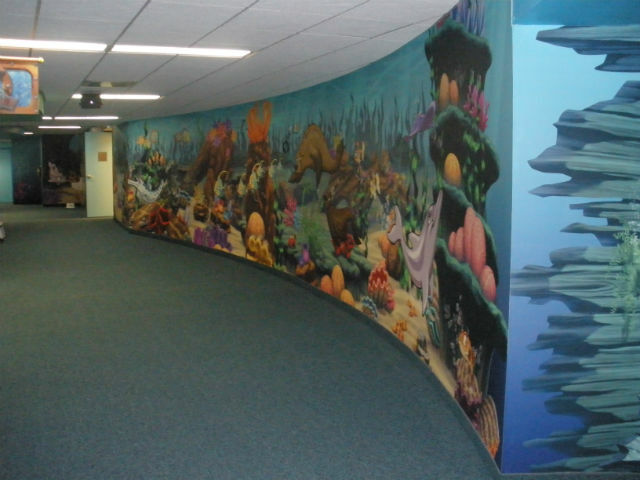 It also helped to the keep the rooms from being too overwhelming with only one mural on one wall. 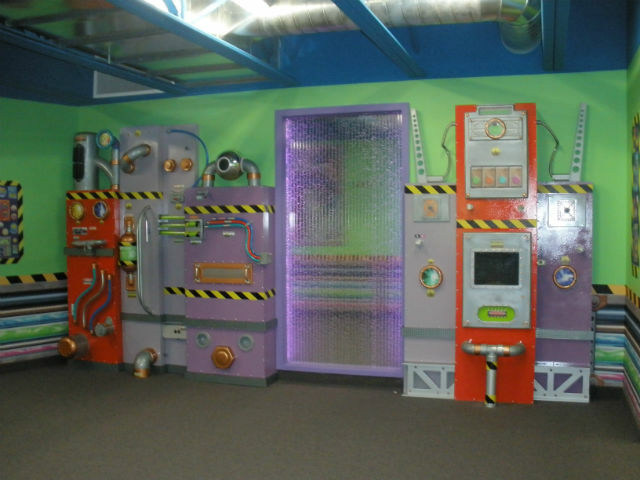 The slime factory had a bubble wall as part of the theme. Kids love the special effect that this provided. 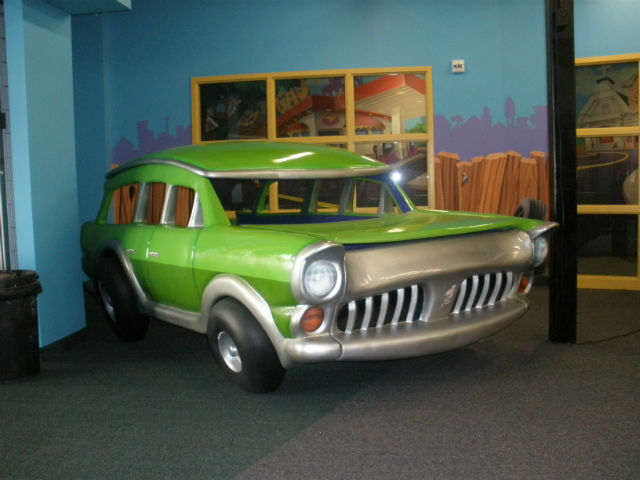 Children with autism really loved this. They were fascinated with the bubbles going up the wall. 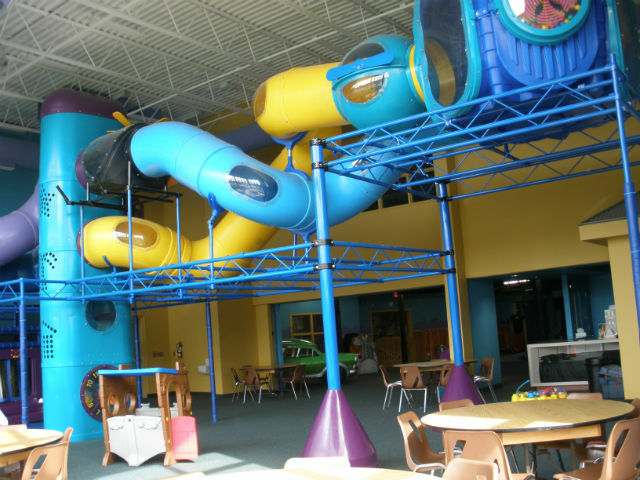 This fantastic playground was grand and exciting for kids to play in. 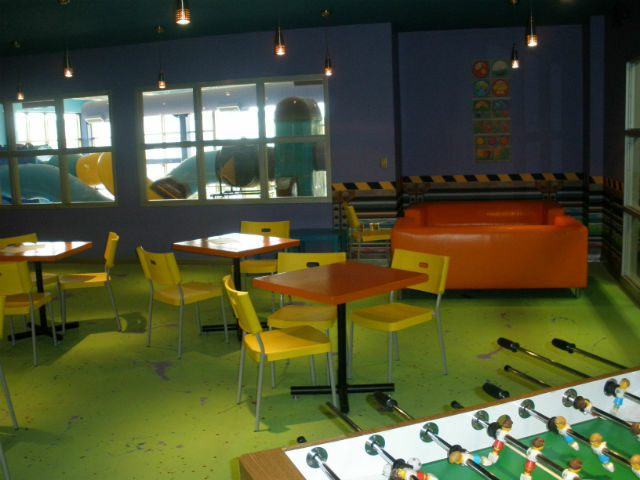 It is used on Sundays and during the week for the community to come and play with their kids. The playground was the first playground to be installed inside a church in Canada. Many families have come through the doors of Calvary since the playground has been open. Click here to see pics from Crossroads Church Tour. Click here to see pics from Willow Creek Church Tour.